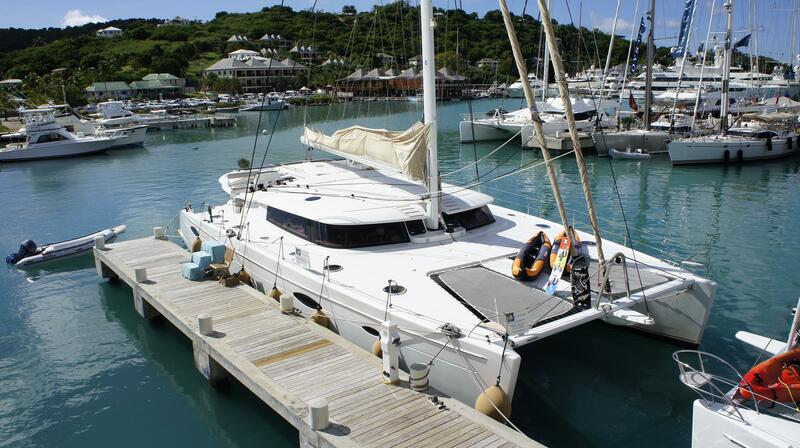 Fountaine Pajot has launched over 30 models since 1983 delivering over 2500 boats to date. Dual hull and power cruising catamaran ranges are leaders in their respective market segments, instantly recognizable on seas around the world. Worth Noting: Fountaine Pajot offers ECOCRUSING, a design option incorporating renewable energy sources for greater efficiency and a reduced footprint. Fountaine Pajot Maldives 32 1987 - 1996 32' 6" 17' 5" 2' 11"
Fountaine Pajot Greenland 34 1994 - Current 33' 10" 14' 7" 3' 1"
Fountaine Pajot Highland 35 2004 - Current 35' 0" 19' 0" 3' 10"
Fountaine Pajot Tobago 35 1992 - Current 35' 0" 19' 0" 3' 1"
Fountaine Pajot Louisiane 36 1983 - 1991 36' 0" 20' 0" 5' 0"
Fountaine Pajot Mahe 36 Evolution 2005 - Current 36' 2" 19' 5" 3' 7"
Fountaine Pajot Maryland 37 1997 - Current 36' 6" 16' 5" 3' 5"
Fountaine Pajot 37 MY 2014 - Current 36' 1" 16' 8" 2' 7"
Fountaine Pajot Antigua 37 1990 - 1994 37' 0" 20' 0" 2' 4"
Fountaine Pajot Athena 38 1990 - Current 38' 0" 20' 8" 4' 0"
Fountaine Pajot 38 1993 - 1997 38' 0" 21' 0" 3' 0"
Fountaine Pajot 40 2014 - Current 38' 0" 21' 0" 3' 0"
Fountaine Pajot Fidji 39 1988 - 1992 39' 0" 21' 0" 3' 0"
Fountaine Pajot Lavezzi 40 2001 - Current 39' 1" 24' 3" 3' 6"
Fountaine Pajot Summerland 2008 - Current 39' 5" 17' 10" 3' 6"
Fountaine Pajot Lipari 41 Evolution 2008 - Current 39' 2" 21' 4" 3' 7"
Fountaine Pajot Summerland 40 LC 2014 - Current 40' 0" 17' 8" 3' 6"
Fountaine Pajot Venezia 42 1991 - Current 42' 0" 22' 10" 3' 11"
Fountaine Pajot Belize 43 1999 - Current 43' 0" 23' 0" 4' 3"
Fountaine Pajot Helia 44 2012 - Current 43' 6" 23' 11" 3' 8"
Fountaine Pajot Orana 44 2006 - Current 44' 0" 24' 1" 3' 11"
Fountaine Pajot Casamance 46 1985 - 1993 45' 10" 23' 0" 4' 4"
Fountaine Pajot Bahia 46 1995 - Current 46' 0" 12' 0" 4' 3"
Fountaine Pajot Cumberland 2004 - Current 46' 0" 20' 0" 3' 0"
Fountaine Pajot Cumberland 47 LC 2013 - Current 46' 1" 21' 6" 3' 8"
Fountaine Pajot Maestro 40 1998 - Current 46' 6" 21' 6" 3' 9"
Fountaine Pajot Salina 48 Evolution 2009 - Current 46' 9" 25' 3" 3' 7"
Fountaine Pajot Salina 2006 - Current 48' 0" 25' 3" 6' 0"
Fountaine Pajot Saba 50 2013 - Current 49' 2" 26' 3" 3' 10"
Fountaine Pajot Marquises 53 1990 - 1993 53' 0" 30' 8" 5' 7"
Fountaine Pajot Queensland 55 2011 - Current 55' 0" 26' 0" 3' 7"
Fountaine Pajot Ipanema 58 2014 - Current 55' 10" 29' 4" 4' 7"
Fountaine Pajot Marquises 56 1992 - Current 56' 0" 26' 9" 4' 7"
Fountaine Pajot Sanya 57 2011 - Current 57' 0" 29' 3" 4' 6"
Fountaine Pajot Tahiti 60 1990 - Current 59' 9" 29' 10" 4' 1"
Fountaine Pajot Eleuthera 60 2002 - Current 60' 0" 28' 1" 4' 9"
Fountaine Pajot Galathea 65 1990 - Current 65' 7" 31' 2" 4' 7"
Fountaine Pajot Victoria 67 2013 - Current 67' 0" 31' 2" 5' 1"
Fountaine Pajot Tahiti 75 1996 - Current 75' 0" 34' 6" 4' 7"
Fountaine Pajot Tahiti 80 2014 - Current 80' 0" 34' 5" 4' 11"
In 1976, Jean-Fancois Fountaine, a well-known regatta competitor, founded Fountaine Pajot with three partners. He set out to establish himself in the French boat building industry starting with the production of sailboat catamarans. 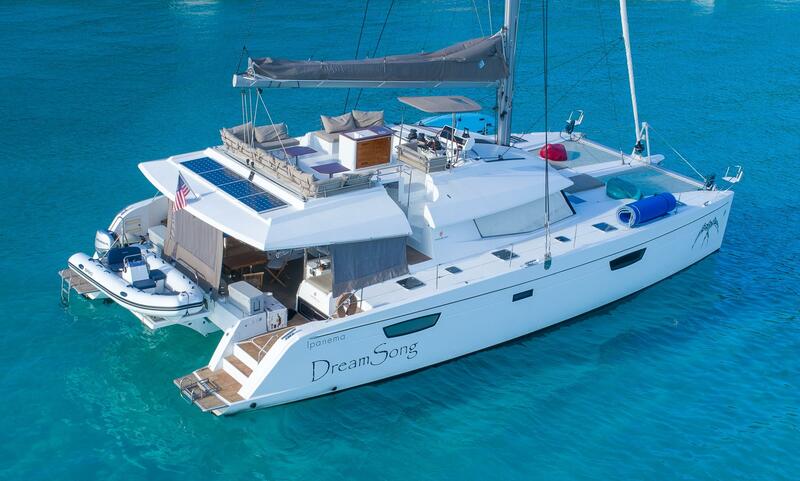 Fountaine Pajot launched its first sail cruising catamaran, Louisiane 37, in 1983. 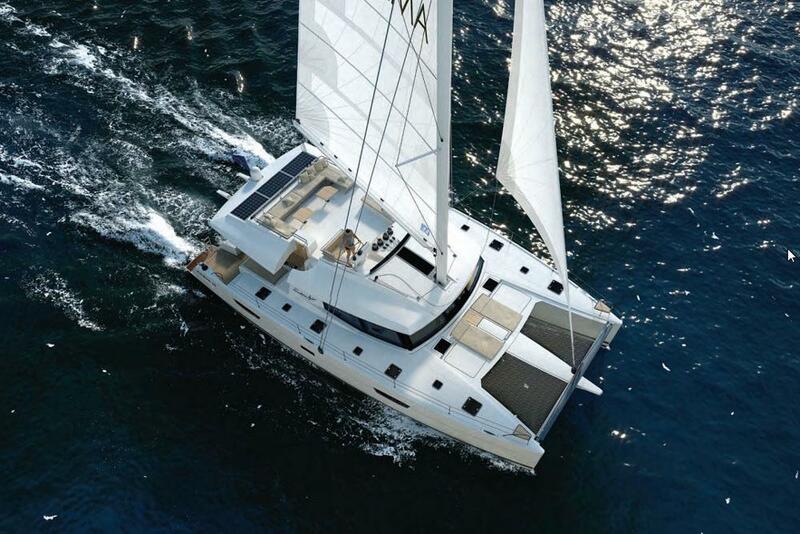 Shortly following, came the launch of Casamance 43, a new model with feature solutions that became trademarks on all Fountaine Pajot vessels, such as fixed fins instead of pivoting centerboards for easier handling when sailing. 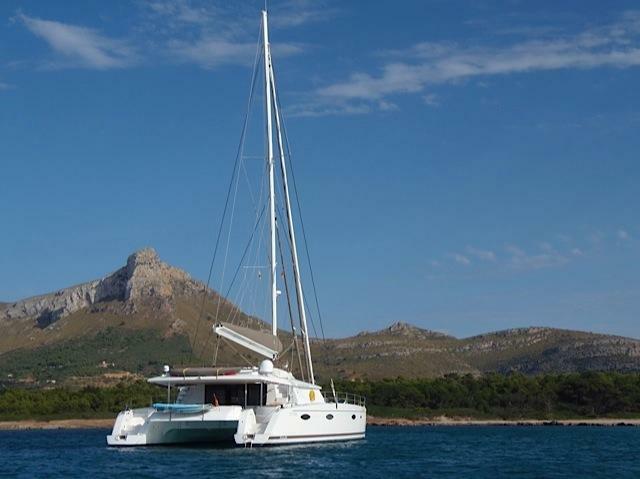 The hallmark of Fountaine Pajot catamarans, inspired by The Vénézia designed by Joubert Nivelt, was established in 1992. This involved bringing the roof forward over its panoramic windows to eliminate direct sunlight and heat from the cabin area. 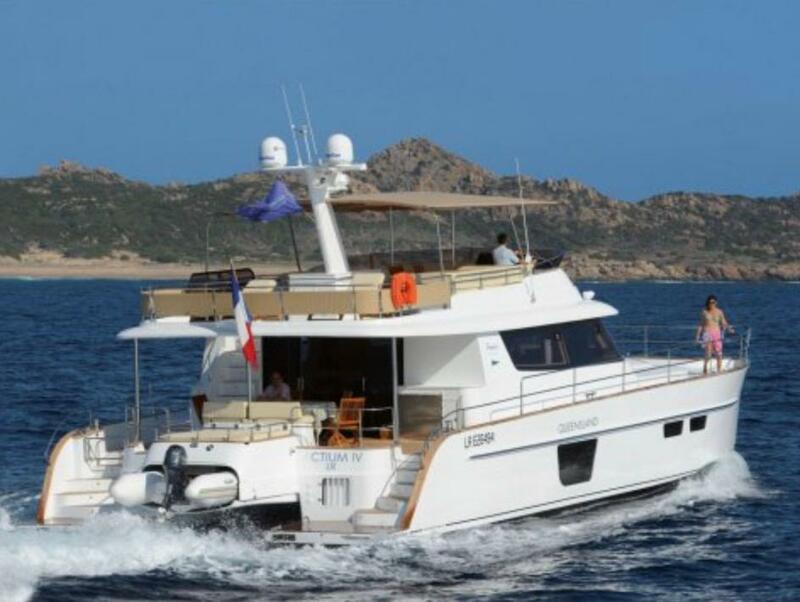 In 1998, Fountaine Pajot launched its first power cruising catamaran, known as “Trawler Catamarans”. The Maryland 37 and the Greenland 34 quickly gained popularity in the powerboat market. Driven by innovation and efficiency, Fountaine Pajot has launched more than 30 models since 1983, becoming one of the top boat builders of dual sail and power catamarans, ranging from 36 to 80 feet.